When is it time for divorce? And is there ever a right time? When is it time for divorce and whether now is the right time are two of the most personal, introspective questions a husband or wife may ask. No two situations are identical and therefore timing may vary greatly from one couple to another. Despite these differences, our divorce attorneys believe there are certain foundational elements that help with the timing question. We will go though the five critical questions you should ask yourself when you search for this answer. Question 1: Has there been a final breakdown in the marital relationship? This is the first and quite possibly the most important question. Can you really state it is time for divorce if you cannot answer "yes" to this question? 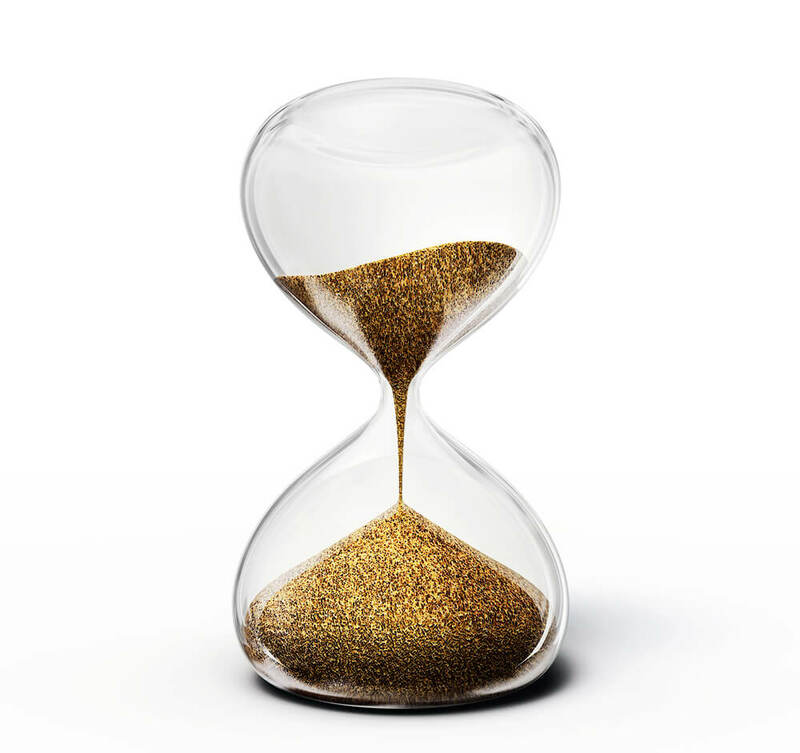 The California Family Code provides a definition for “date of separation.” You may wonder what that has to do with the question of timing. That definition determines from a legal perspective whether there has been a final and the irremediable breakdown in the marital relationship. Here is what Family Code 70 states. To learn more about it, check out our article on Family Code 70 and date of separation in California. Have you subjectively concluded you no longer want to be married to your spouse? Have you communicated that to your spouse? If the answer to each of those questions is yes, have you engaged in the objective conduct consistent with that final breakdown in the marital relationship? If the answer to all of the above is yes, then perhaps you already started living your separate life from your spouse. If you have subjectively and objectively achieved a final breakdown of the marital relationship, consider whether that is a strong signal and whether it may be time to proceed with the divorce. Question 2: Has the trial separation failed or was it futile to try? This is the second question to ask yourself. A trial separation is a physical separation between the spouses but without the intent to file for divorce immediately. A trial separation intends to give the spouses time and space from each other while they attempt to work on the marital relationship or determine if it is their desire to do so. In other words, it is not time for divorce. However, if you and your spouse attempted a trial separation and it did not help in restoring the marital relationship, that may indicate a divorce may make sense. Similarly, if you decided it is futile to attempt a trial separation for the reasons we stated in that article, that may similarly be an indicator. Question 3: What is the benefit of waiting? It is foolish to rush into a divorce. One way to avoid foolish decisions is to ask smart questions and get answers to them. That is why this is the third question. Is there a good reason to wait and not file for divorce? For example, would waiting and attempting marital counseling potentially help restore the relationship? Would waiting allow a highly stressful situation to pass before making a decision? It is common for stressful situations to put a strain on a marriage. These stressful situations can be physical illness, chemical dependency, financial challenges and more. If these situations are isolated and do not necessarily reflect a breakdown in the trust and loyalty between the spouses, it may be wise to work through them rather than simply give up on the relationship and assume divorce is the best path. For example, a spouse who only recently became addicted to pain medication, is going through a difficult time and thereby putting a lot of stress on the marriage is different from a long time addict who made the large portion of the marital relationship unsustainable and refuses to get help. Similarly, a spouse who has shown himself or herself financially responsible as the breadwinner but who has hit a rough patch in his or her career or job is different from the spouse who refuses to work despite having the ability to do so and purposefully remains a financial strain on the marriage. Just as spouses cannot follow a cookie-cutter approach to a happy marriage, neither can they follow a cookie-cutter approach to the decision and timing of the divorce. Question 4: Are you mentally prepared to start your new life? This fourth question is highly introspective. So much of the answer depends on the individual's mental state at the time he or she asks it. That is why you should not ask this question when you are in an emotional state. If there has been a final breakdown in the marital relationship, if a trial separation has failed and there is no good reason to wait, you may still ask yourself whether you are mentally prepared to proceed forward. Divorce is stressful. Anyone who tells you divorce is a smooth and painless process from beginning to end either is a fool or is trying to sell you something. Even an uncontested divorce where both spouses agree on all of the issues can be stressful as you navigate the California Family Code's rules and procedures. This is especially true with long-term marriages as well as those that involve younger children. If you expect a contested or high conflict divorce, your mental preparation has to be at a higher level. Check out our guide on divorce in California. 1. Since your lawyer is not your therapist, where do you get help? The shortest and most obvious answer is therapy. A licensed psychologist (Ph.D.) or marriage and family therapist (MFT) should help you prepare for the divorce ahead of you by providing you with the tools to cope and embrace the challenge ahead. For some, this happens quickly. For others, it does not. As experienced divorce attorneys who may have seen it all (or close to all), we realize no two people are the same. A stay-at-home spouse who has been financially dependent on the other spouse may emotionally handle a divorce differently than a financially independent spouse who has been the breadwinner. Similarly, a spouse physically or emotionally abused throughout the marriage may mentally handle the divorce differently than a spouse who had an amicable relationship with his or her spouse but grew apart over time. Our experience is the more adversity within the marriage, the more the divorce may present emotional challenges for one or both spouses. Question 5: Are you financially able to withstand a divorce right now? Divorce is similar to a business transaction. You have to put your business mind to work. That is why this question made the top five list. This question usually requires the spouse asking it to consult with a divorce attorney and, depending on the marital estate, a CPA and financial planner. Financial ability includes the ability to financially provide for yourself, financially provide for the other spouse and children if you are the higher earner, obtain access to money including community property funds that may be in various accounts and knowing where you will reside during the divorce. Like everything else we mentioned, there is no one right or perfect approach to this. Asking the question of whether you are emotionally, practically and financially able to withstand a divorce right now is a critical one because walking into a divorce unprepared may be a mistake that causes significant stress and instability in your life. A financial planner who can help you make smart choices about your money. Ready to learn more? Read our guide on the surprising ways adultery affects divorce and why California is not as "no-fault" as you may think. When is it time for divorce? Only through careful planning and preparation can a spouse answer that question. That preparation may include consultation with an experienced family law attorney.